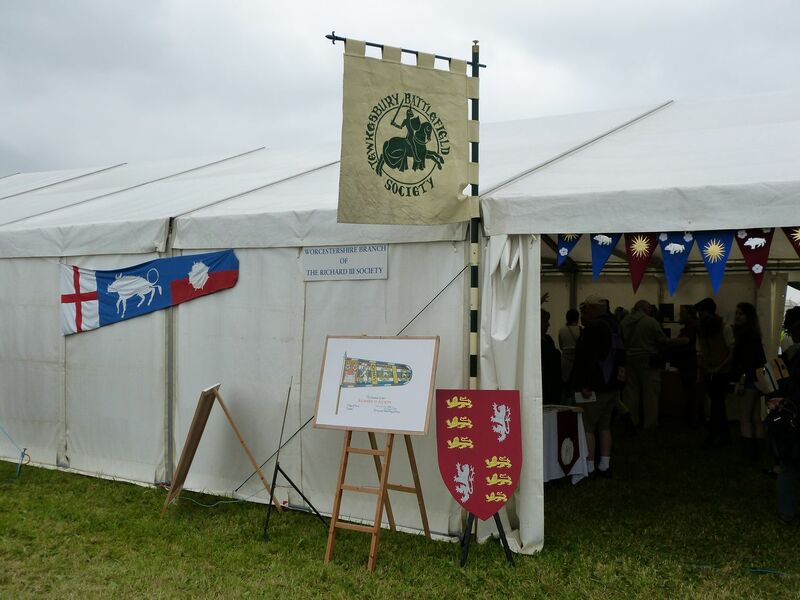 The Worcestershire Branch display in the main marquee, thanks to Steve Goodchild, Chairman of the Tewkesbury Battlefield Society. 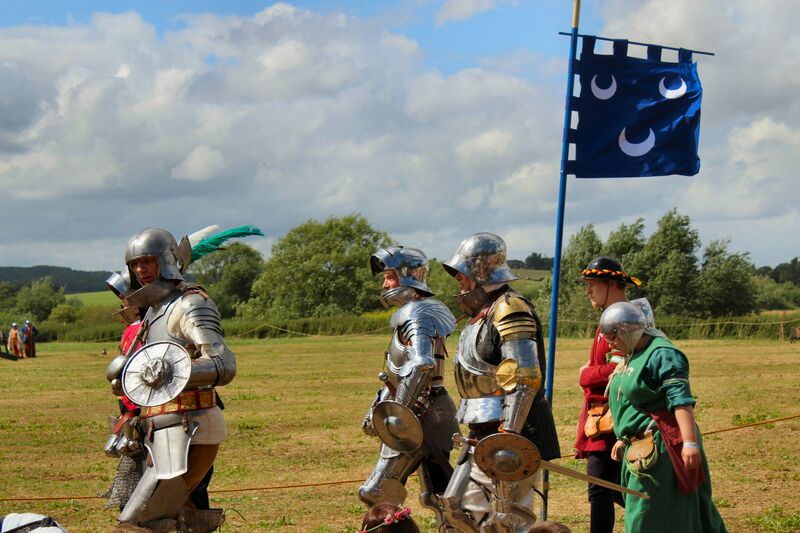 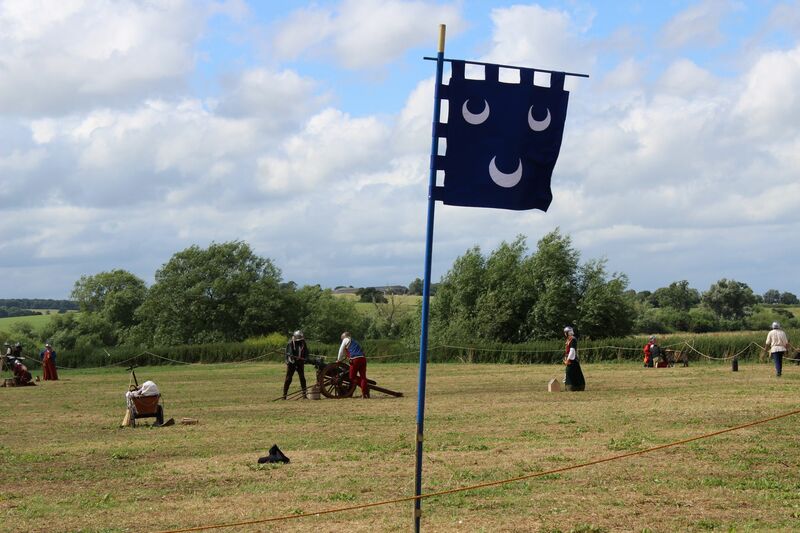 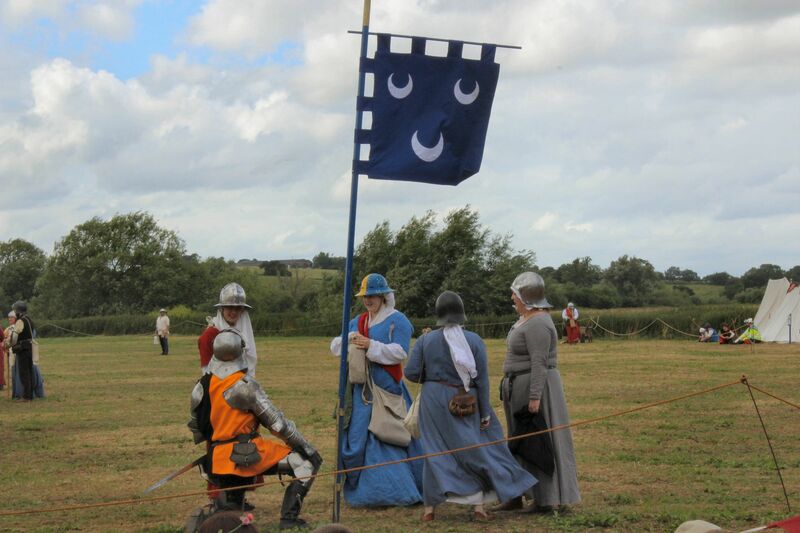 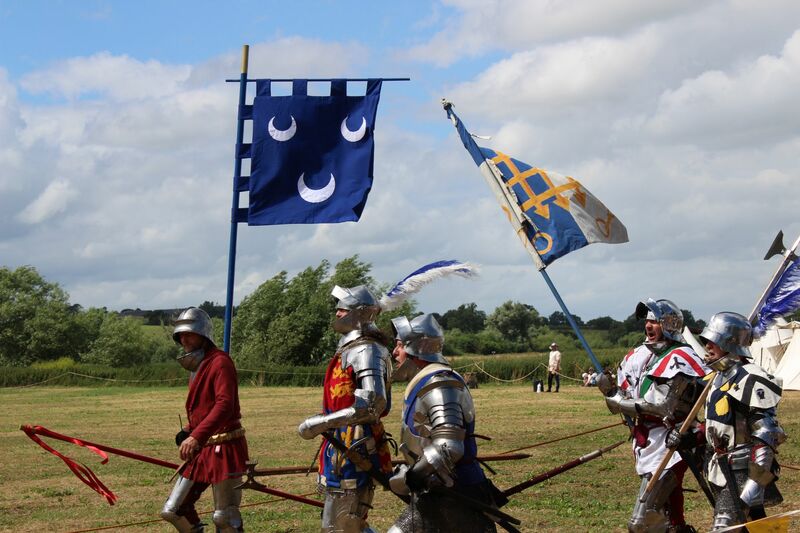 Professor Ronald Hutton opened the Tewkesbury Medieval Festival 2016. 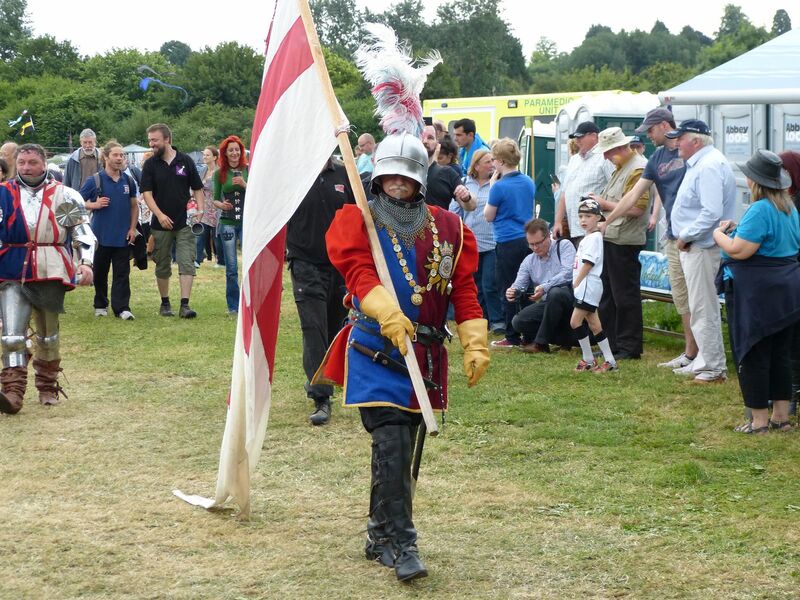 He is Joint Patron of the Tewkesbury Medieval Festival with Robert Hardy CBE, FSA. 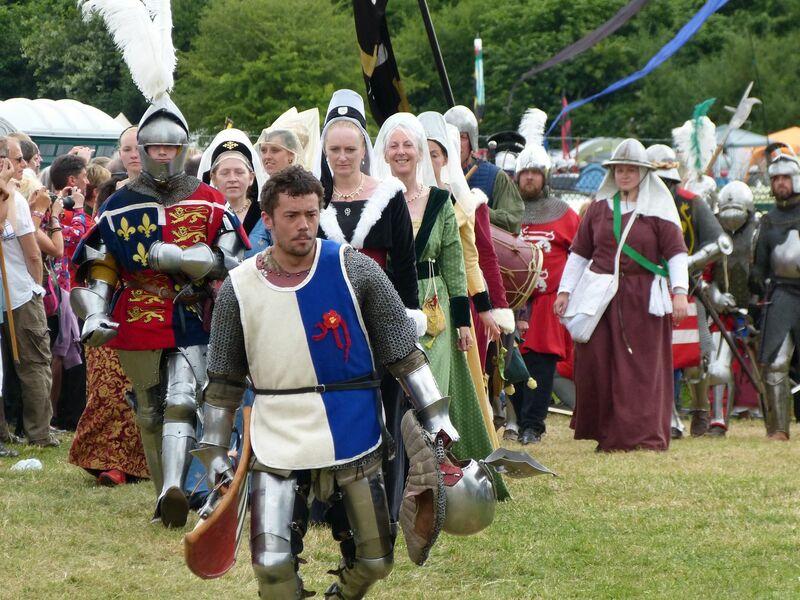 Announcing our presence outside the marquee. 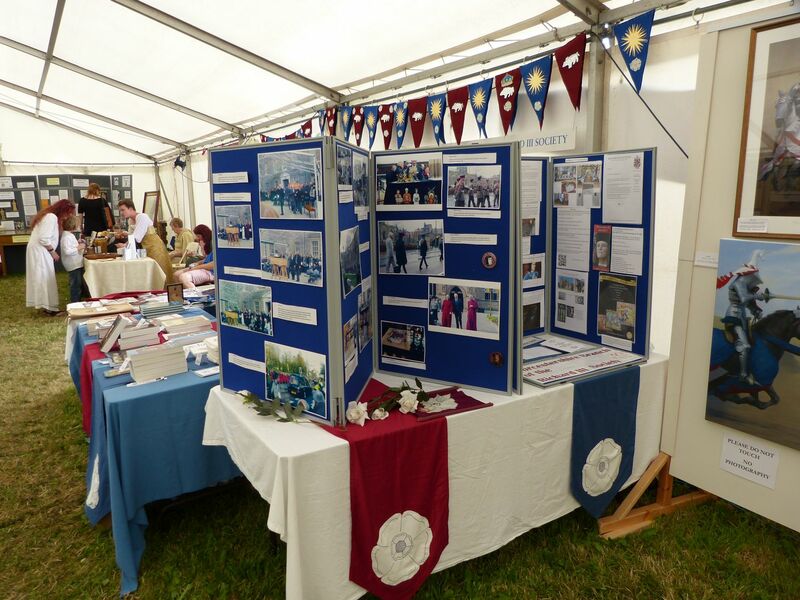 Inside the marquee showing the books etc for sale. Our photo display featuring the reburial of Richard III and new developments this year. 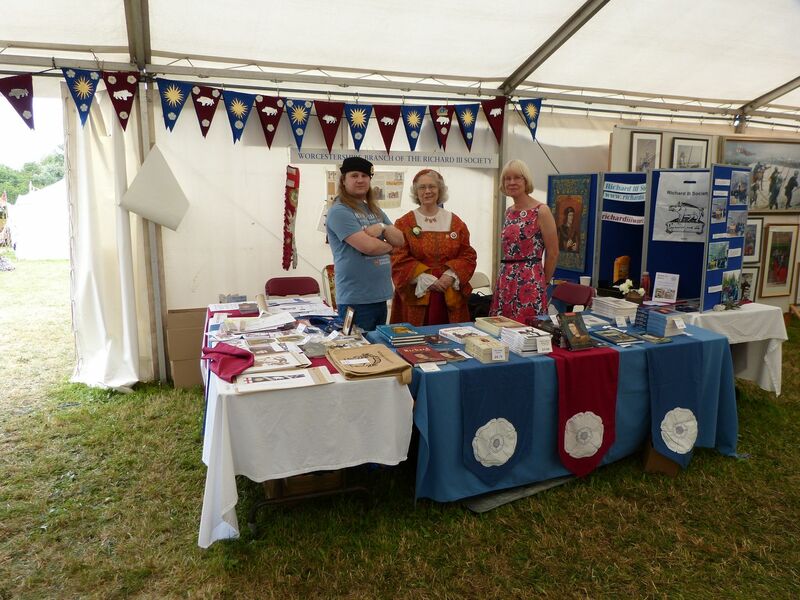 £800 donated to SAUK (Scoliosis Association UK) from sales of The Legendary Ten Seconds' albums about Richard III. 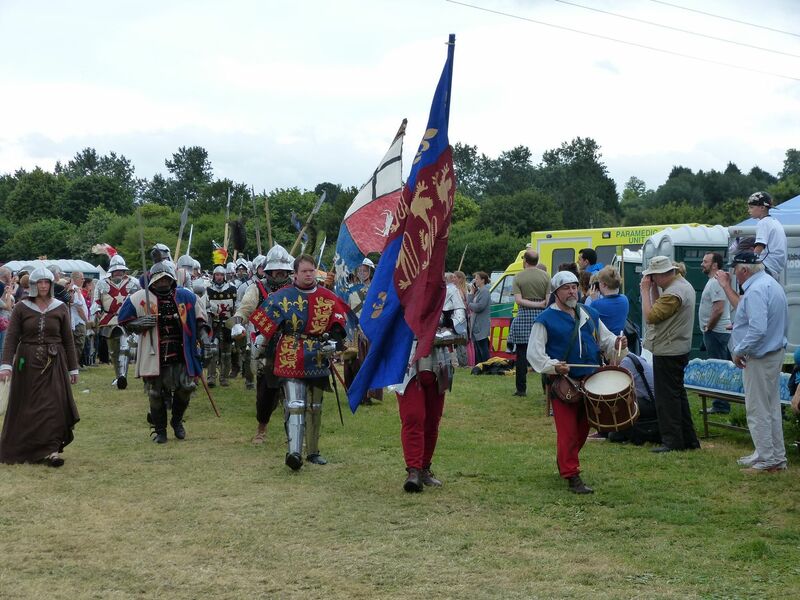 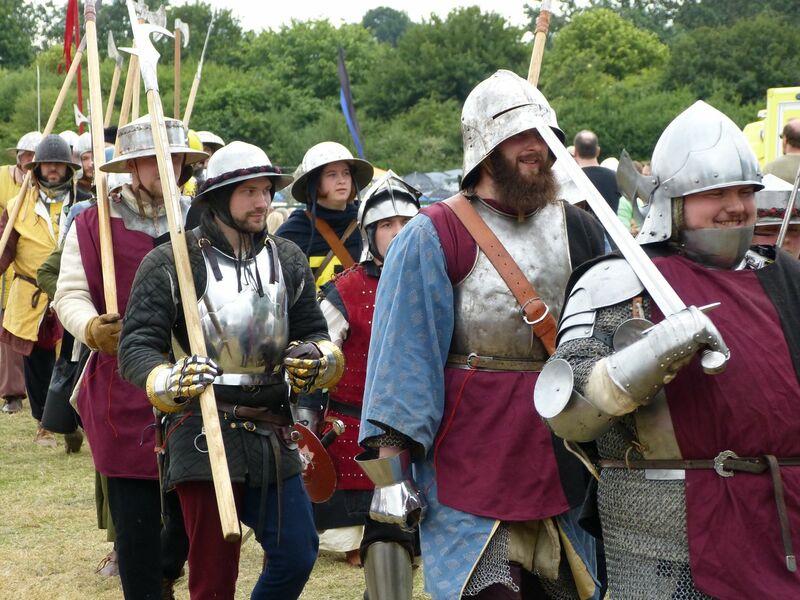 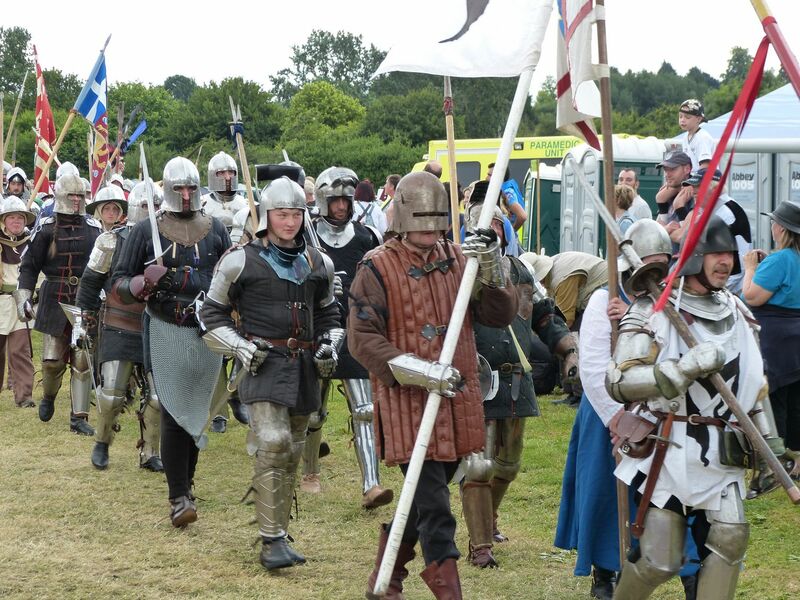 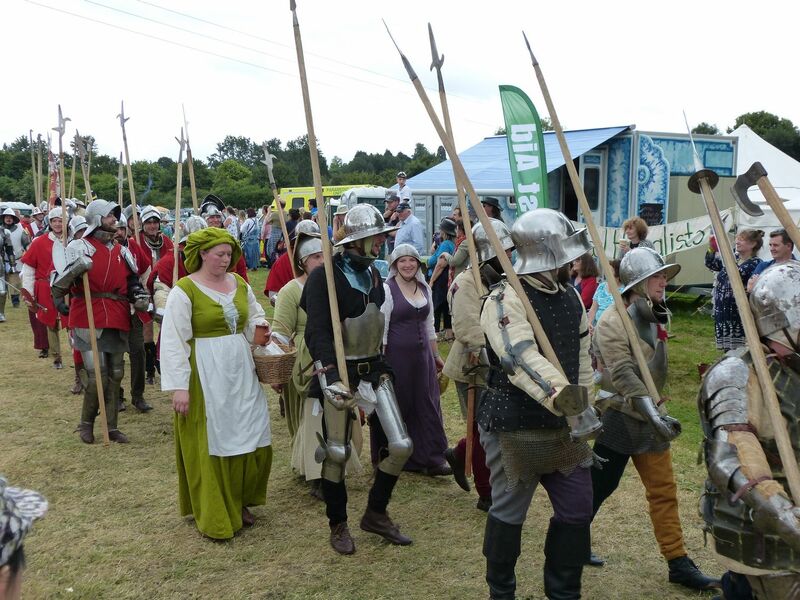 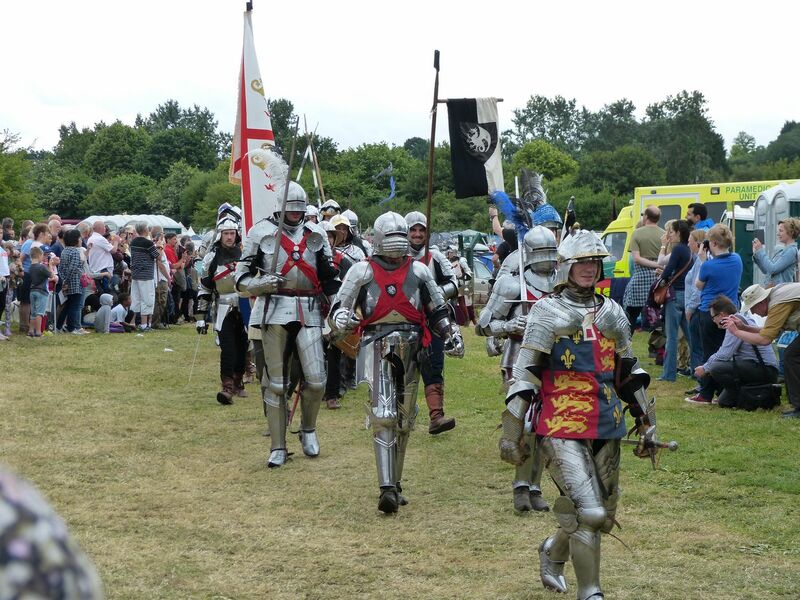 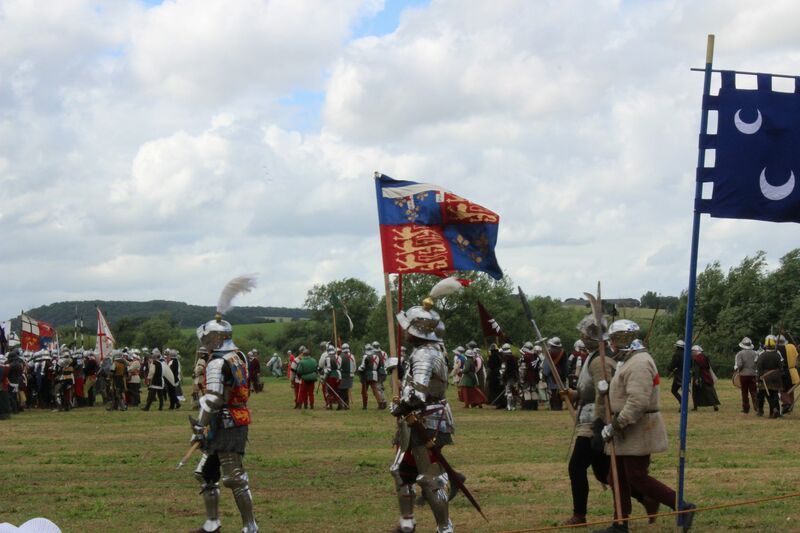 Below are photos of some of the troops marching onto the battlefield ready for Saturday's re-enactment. 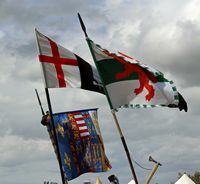 Prince Edward of Lancaster and his mother Queen Margaret of Anjou. 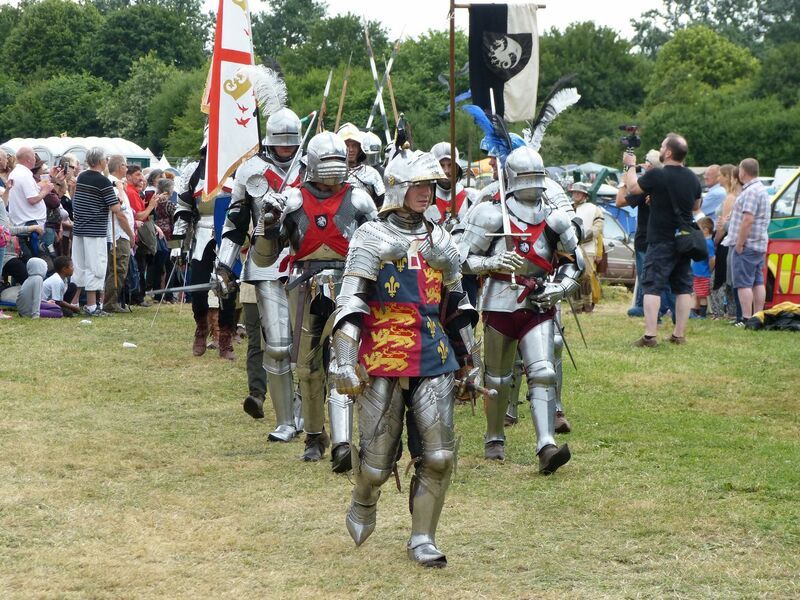 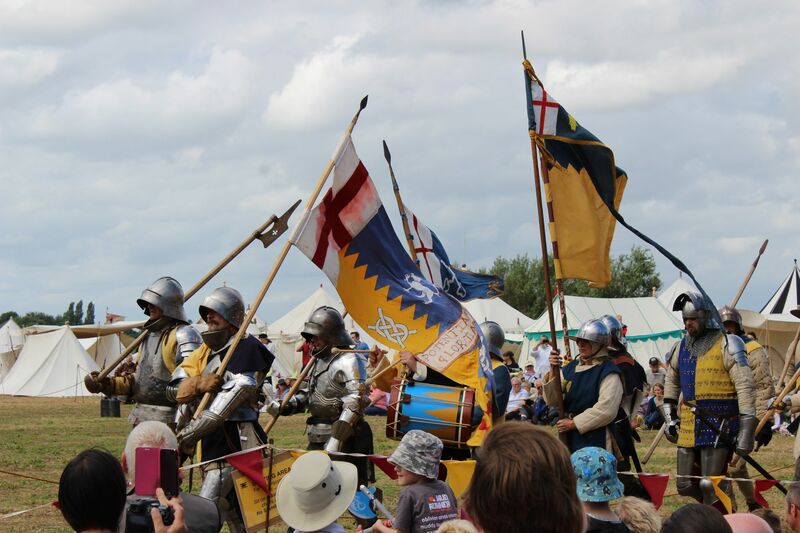 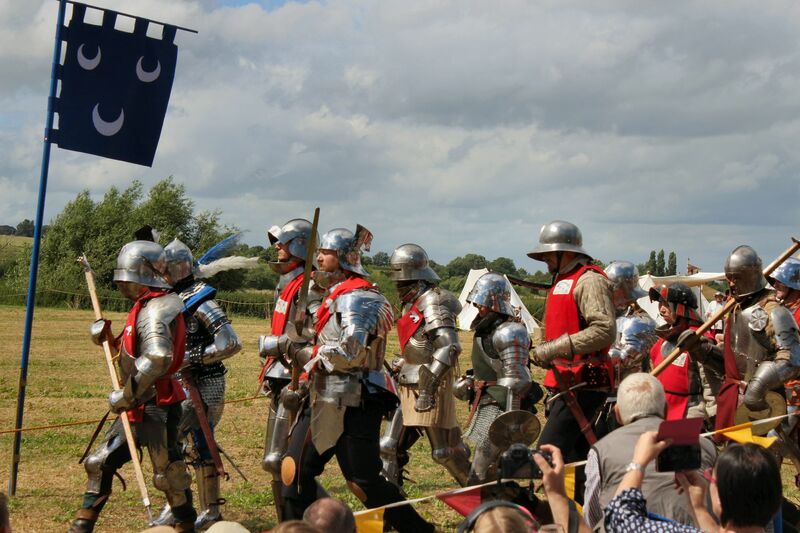 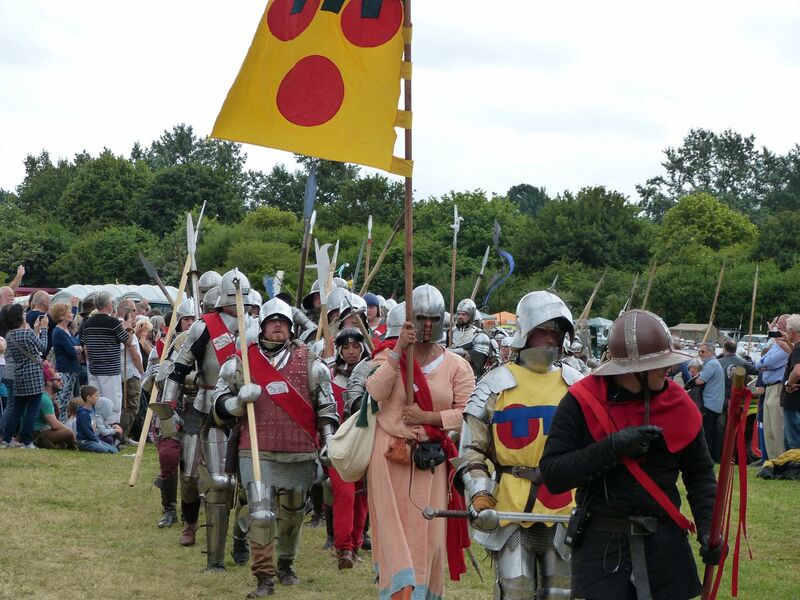 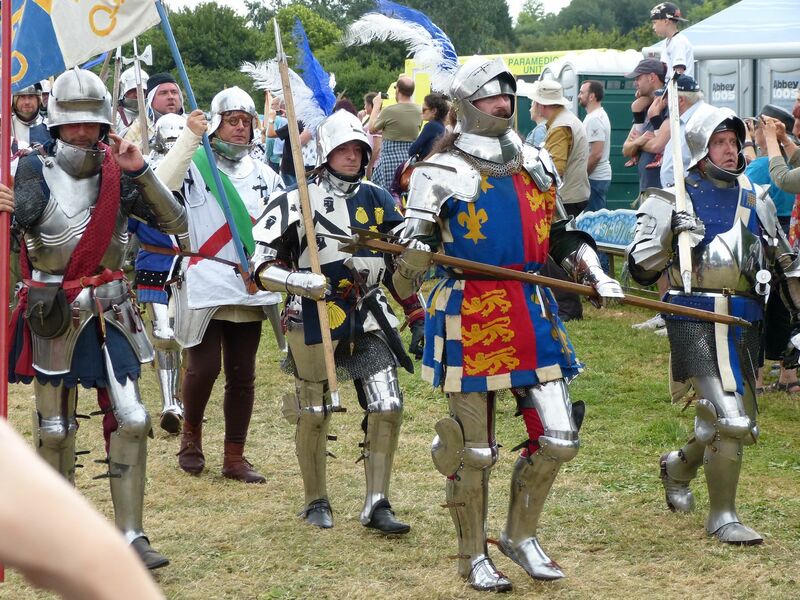 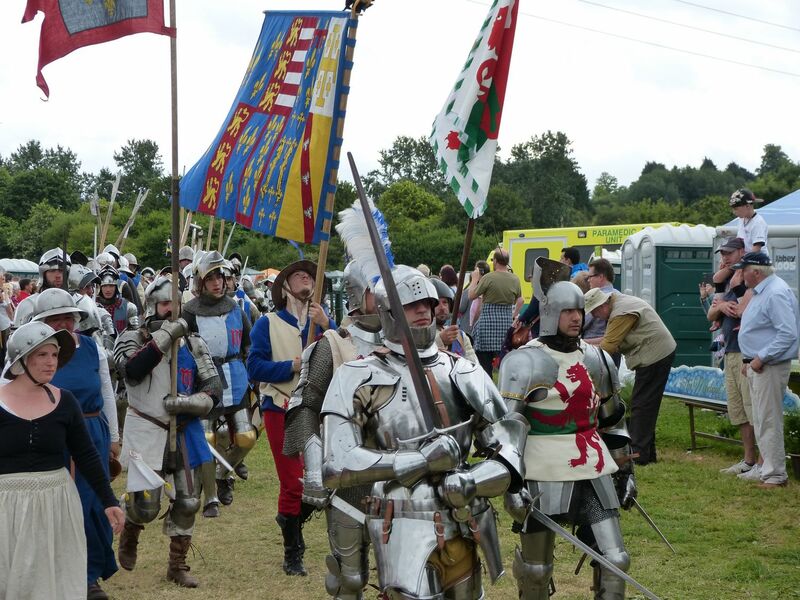 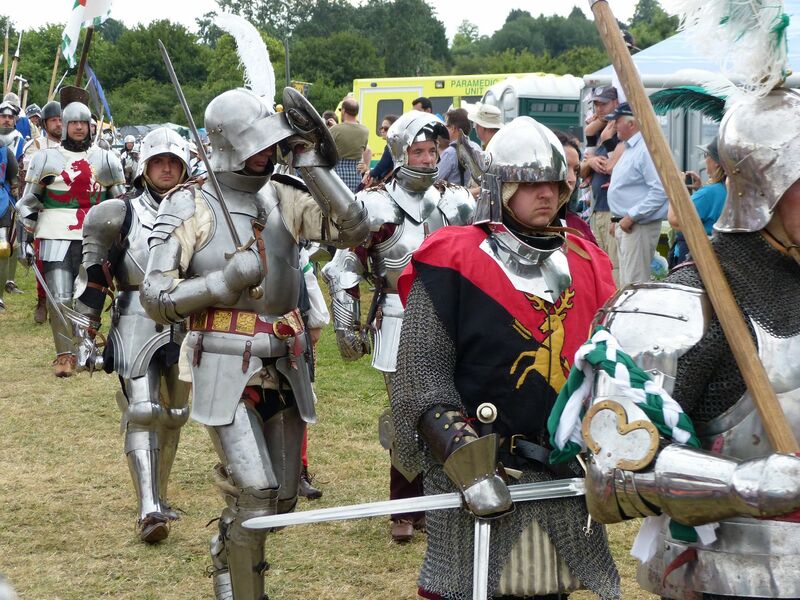 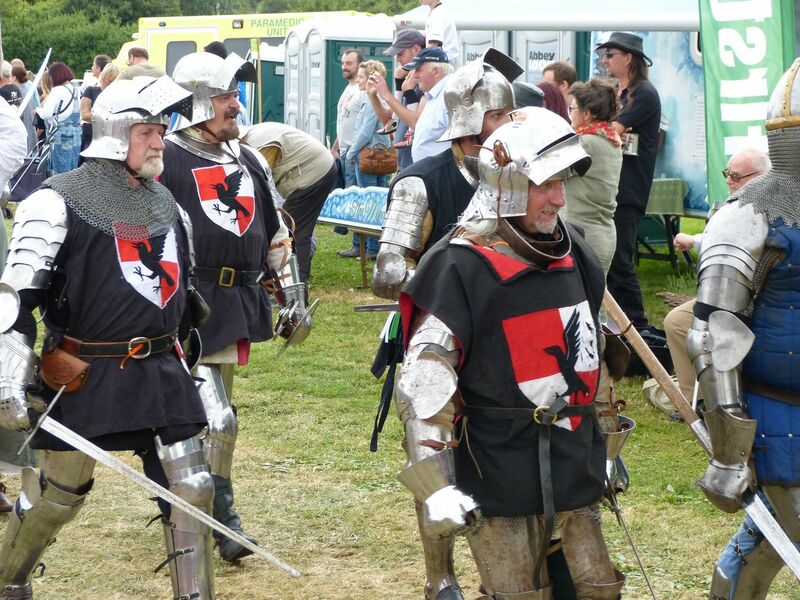 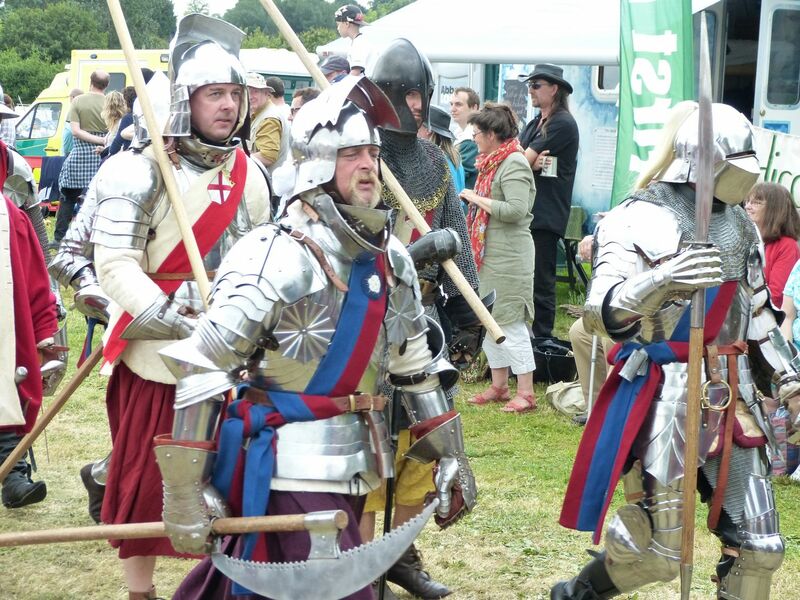 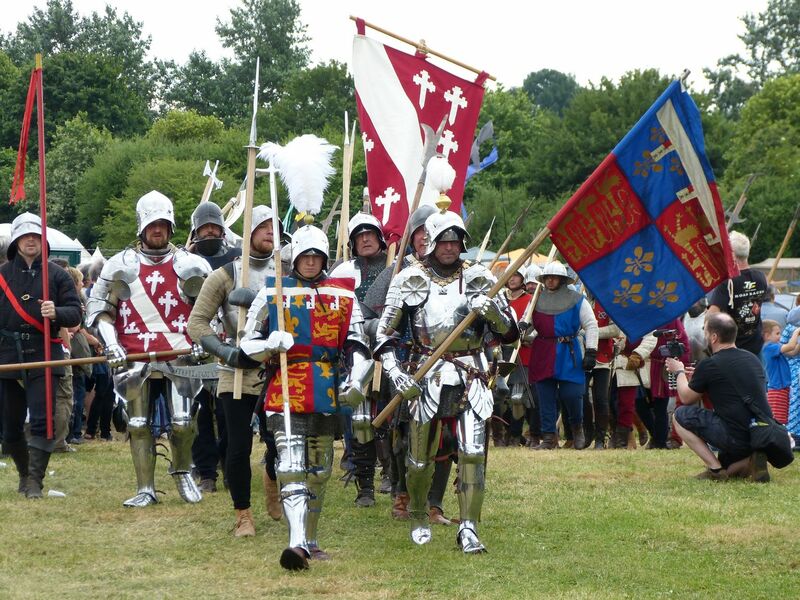 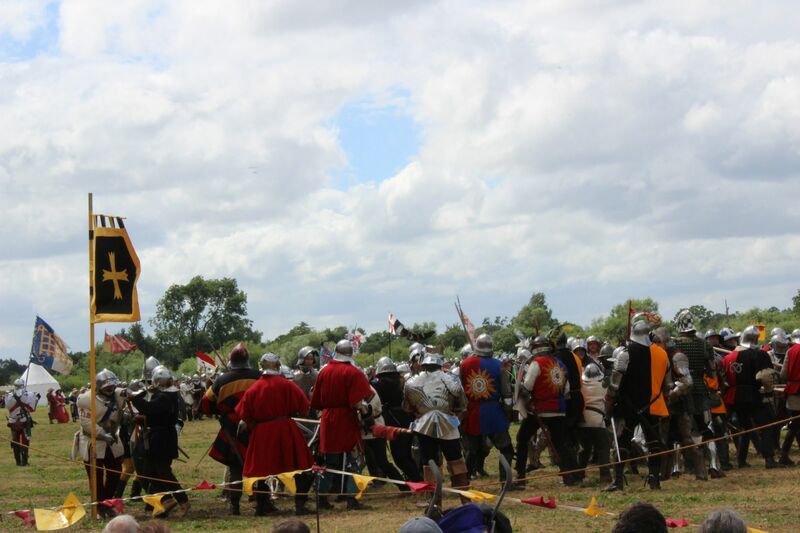 King Edward IV's troops start to appear. 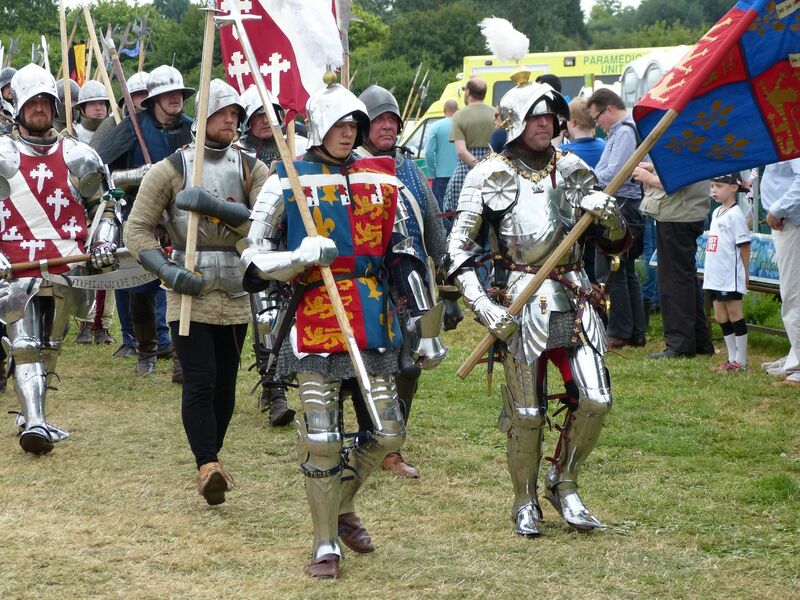 George Duke of Clarence and brother to King Edward IV. 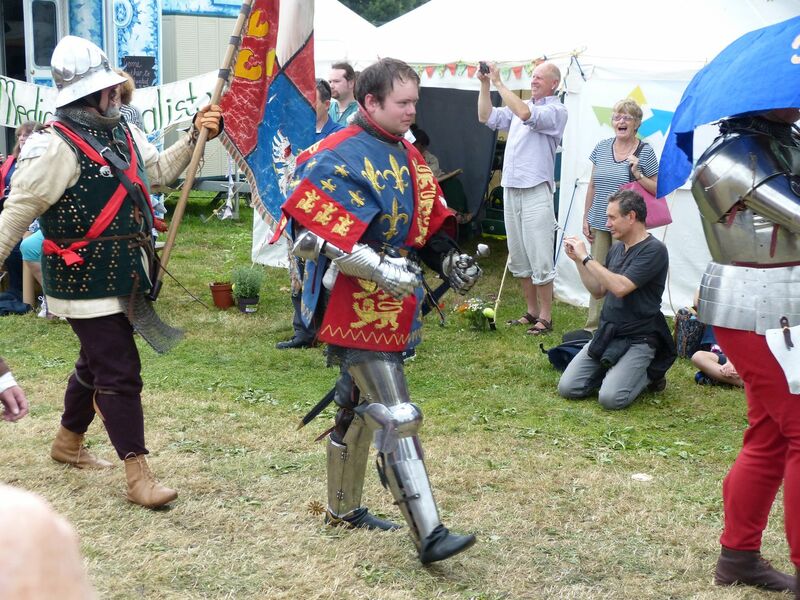 Richard Duke of Gloucester and brother to King Edward IV. 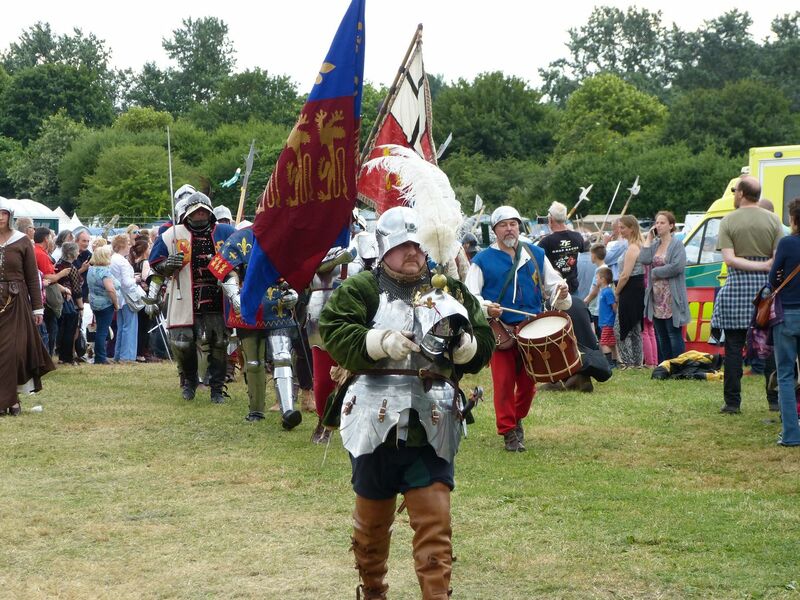 Richard Duke of Gloucester and brother to King Edward IV. 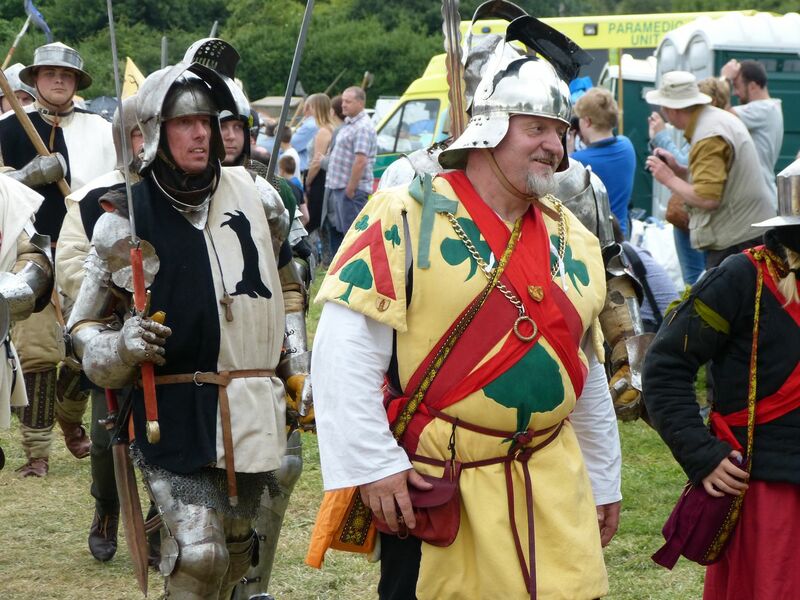 The man in armour next to him is wearing a suns and roses collar with a white boar pendant. 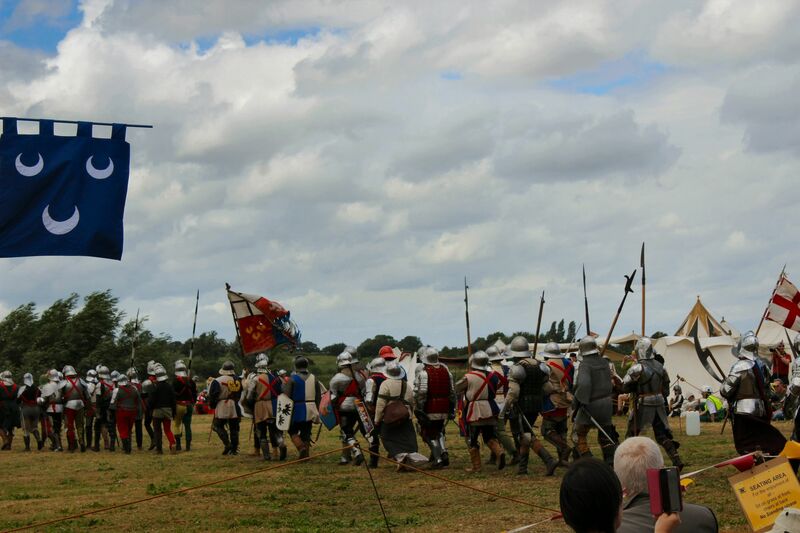 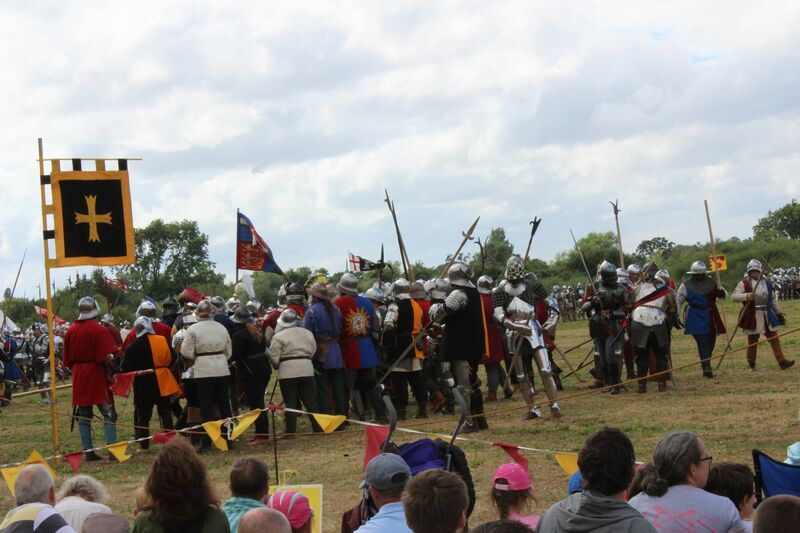 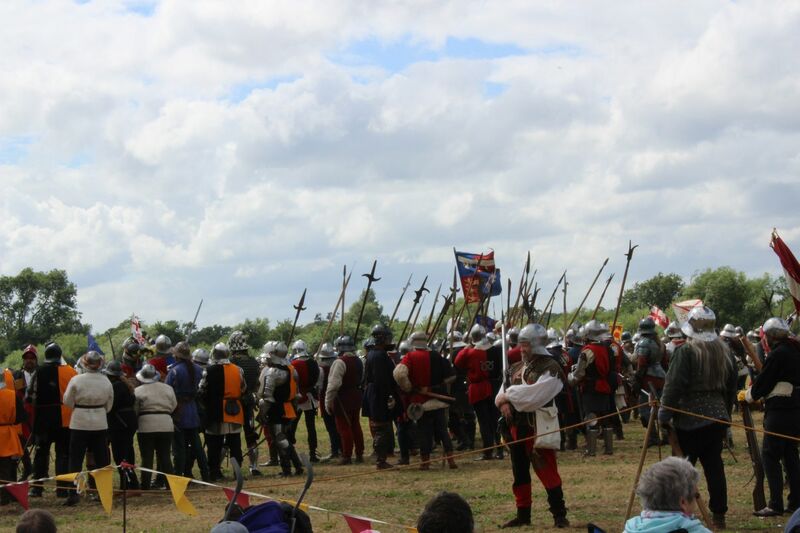 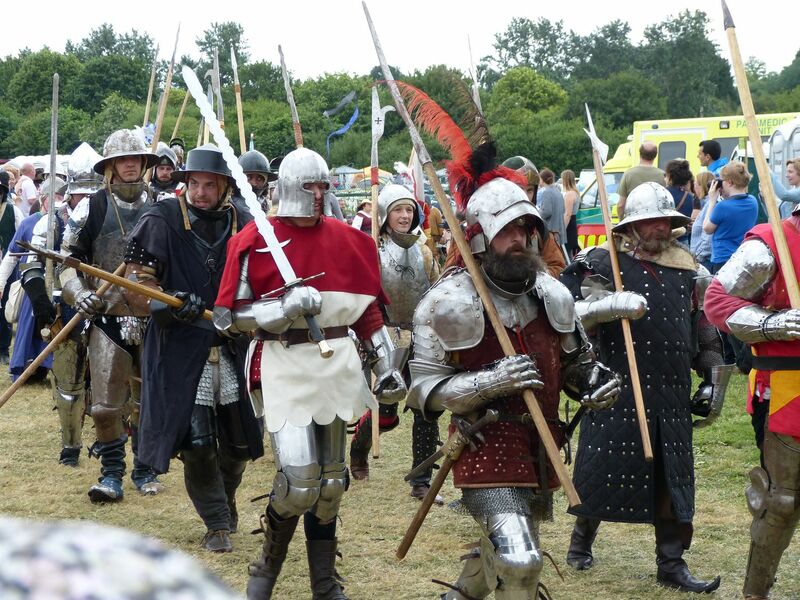 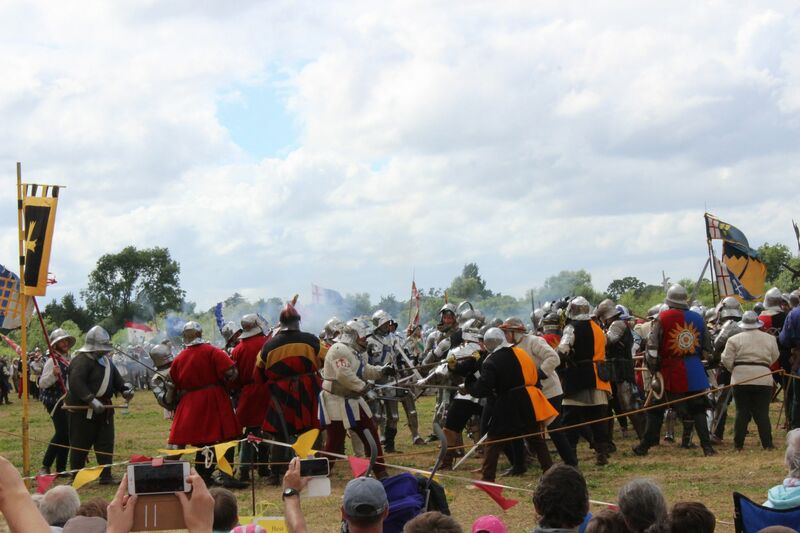 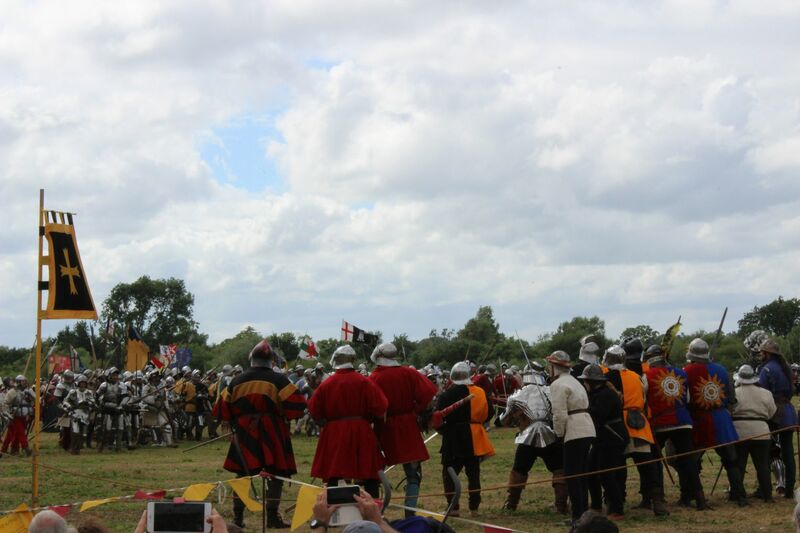 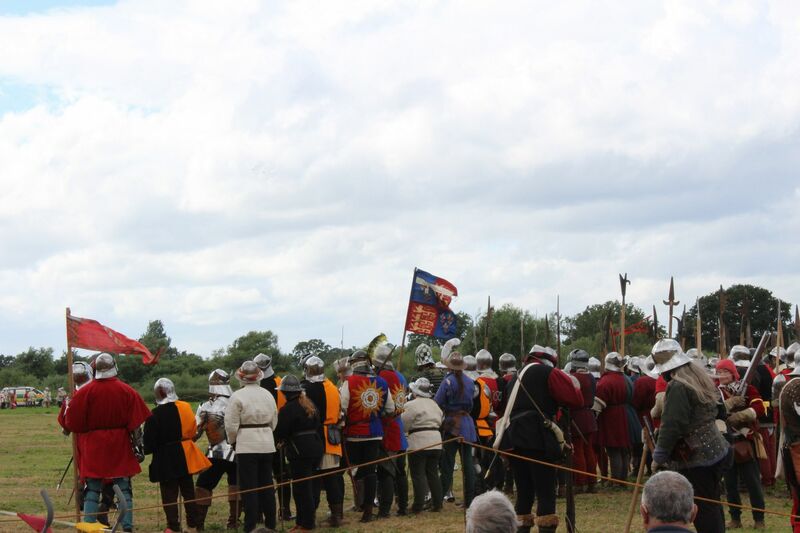 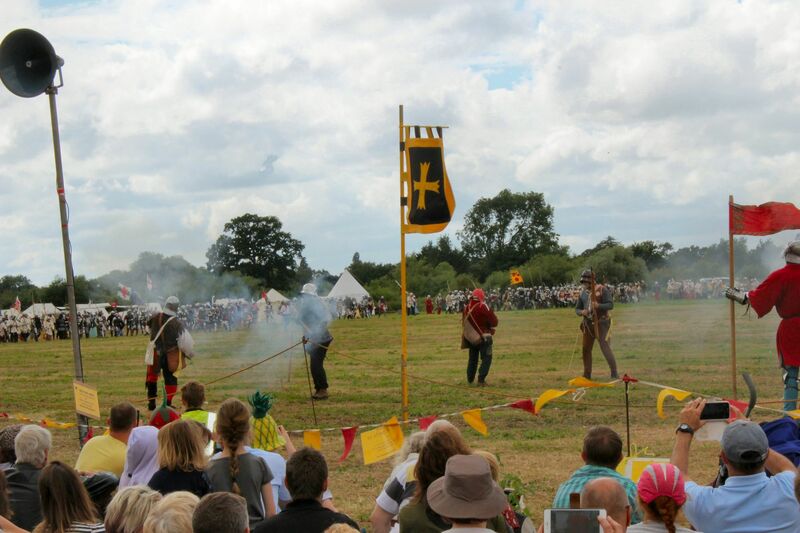 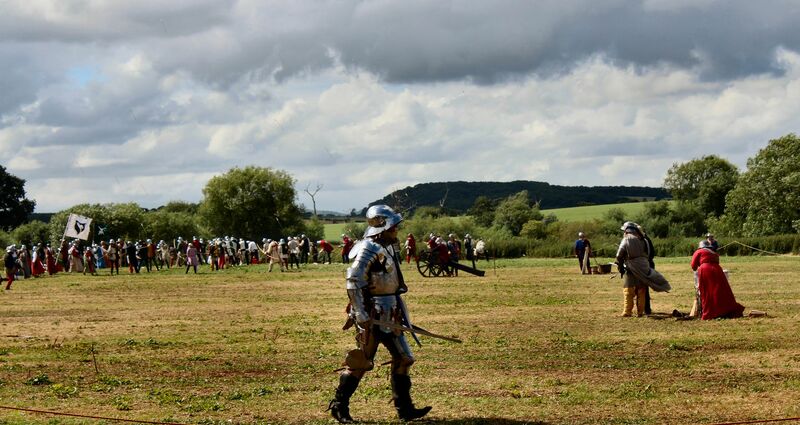 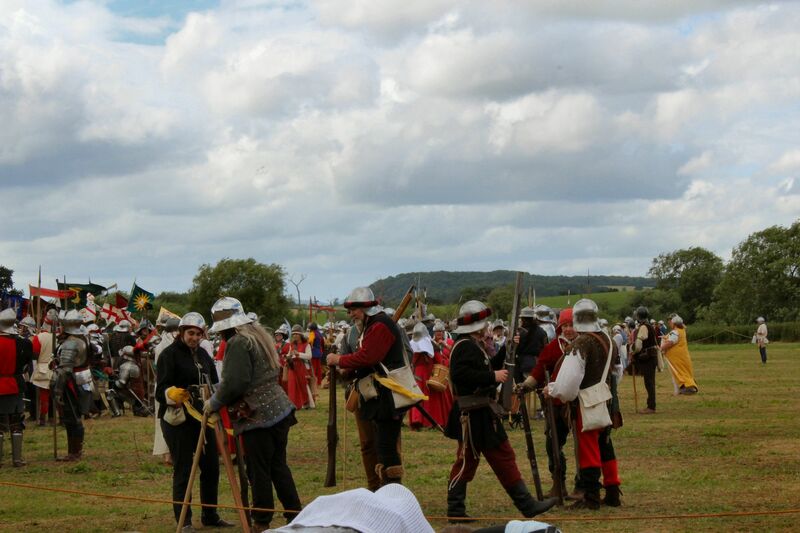 Below are some scenes from Sunday's re-enactment.